Tips on how to improve your electrical contacts between various materials. 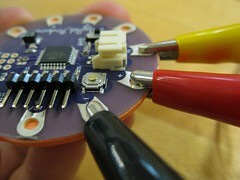 It is always good practice to test a certain connecting technique before applying it to more than one connection. 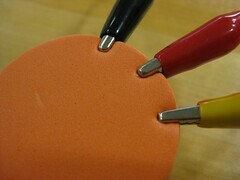 Use a squishy material on the back of your LilyPad/PCB. neoprene, foam and felt work well. Fuse it to the base material or to the back of the LilyPad or just hold it in place. Also handy when using crocodile clips. Stretch conductive fabric is really nice to use for sewing to because it is soft and fury/hairy and slightly squishy on a minute scale so that the hairs nicely entwine with the conductive thread and make for better contact than other conductive fabrics that tend to be stiffer, especially when fused. 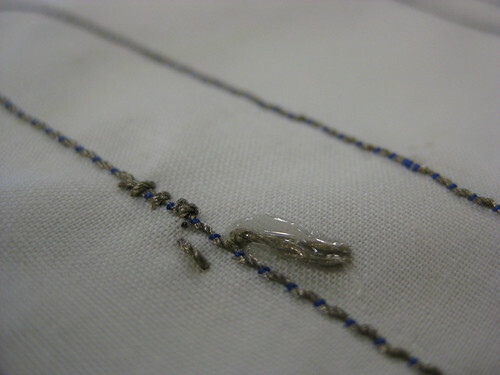 If you are using fusible interfacing on your conductive fabric you should also be able to fuse the fabric on top of a few stitches of conductive thread and maintain a good connection. 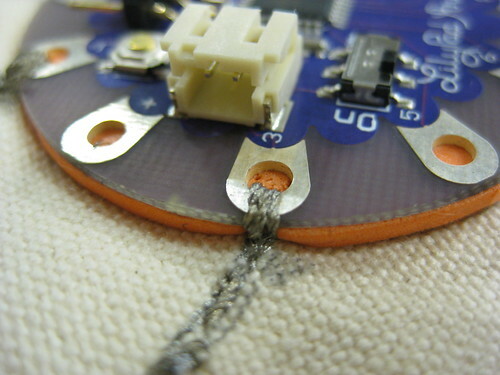 Knotting together two conductive threads is not always the best idea. Knots love to come undone or at least loose. 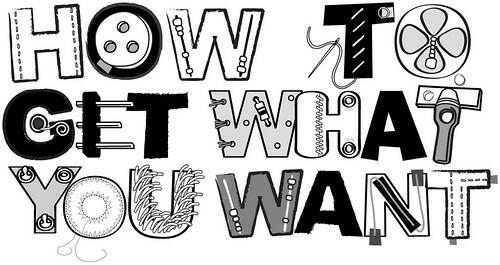 Adding glue, nail varnish or a patch of fabric with fuible interfacing helps keep knots tight. 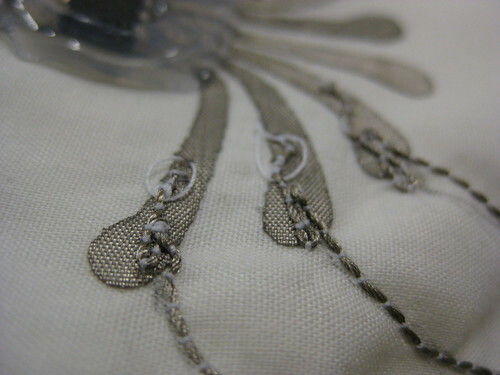 Sewing along side and existing conductive trace is another option. 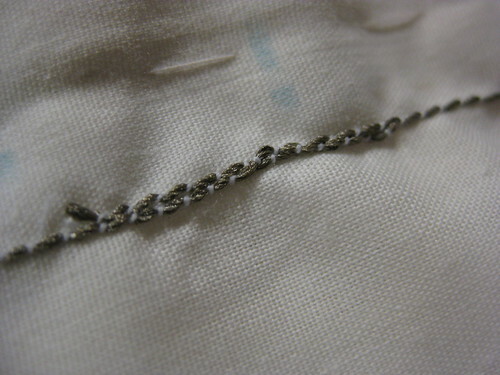 And sewing both (or all) threads together to a piece of conductive fabric (see above) is also a good method. 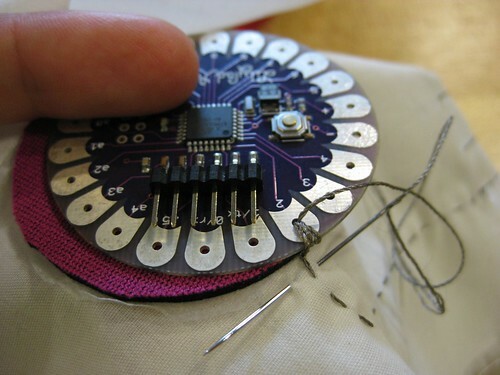 I just love the way you embedded the circuit on that fabric, amazing!